To design photovoltaic systems we need to meet 130 mph design wind speeds in most locations around Southwest Florida, and higher wind speeds on Sanibel, Captiva, and some parts of Naples. That means there are tremendous pressures acting on solar panels, particularly from wind uplift. 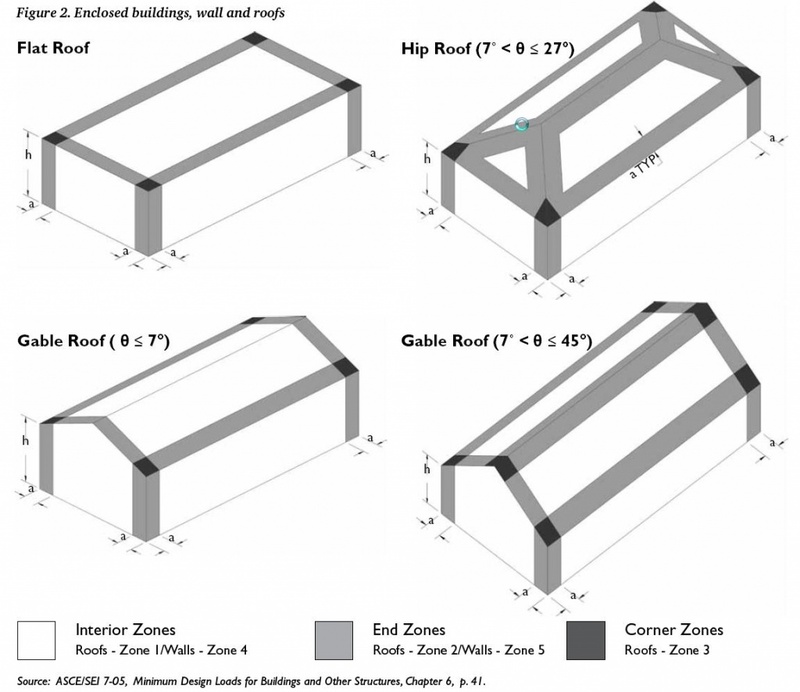 The pressures in corner wind zones are even higher, especially on gable roofs. 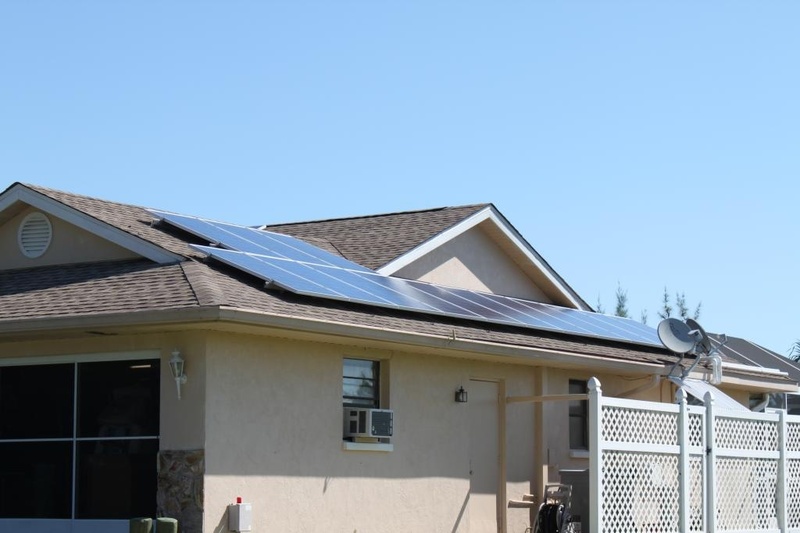 The above pictures shows a solar array on a home in Port Charlotte, FL. 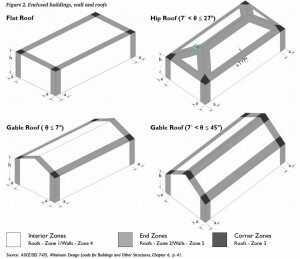 the area where the gable eaves meet the ridges are corner zones known as Zone 3. The wind uplift pressure in this area are often more than double that of the pressures in the center zones of the roof. In most cases, it makes the most sense to avoid Zone 3 altogether, as the cost of attachments may exceed the benefit of adding an additional panel. The existing roof may also be inadequate to handle the loads imposed. Dutch gables are even more challenging because they severely limit the amount of available roof space once roof zones are taken into account. However, with careful planning, a sizable system can successfully be installed on this roof type. On this particular roof, we could have installed one additional 230W module, but it would have been well into Zone 3, requiring significantly strengthened supports to meet 60 pounds per square foot wind uplift calculations. It is highly likely that the existing roof trusses would not have been adequate to meet this requirement. The good news – you don’t have to worry about this stuff. Hire a solar professional and they will take care of these details!